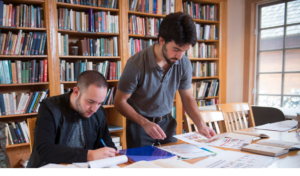 During the week after the Summer Program ends, participants interested in issues of teaching Yiddish will spend a week of study, discussion, and demonstration. To be addressed: general questions of language pedagogy and the specific challenges of imparting Yiddish. *Financial aid is available for international and domestic students.